The National Rifle Association and its NRA American Warrior magazine will serve as title sponsors of the NASCAR Nationwide Series NRA American Warrior 300 at Atlanta Motor Speedway on Saturday, Sept. 1. That announcement was made by Lt. Col. Oliver North, USMC (Ret. 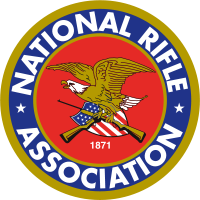 ), who is an NRA Board Member and reports on American heroes for NRA Life of Duty, along with AMS President and General Manager Ed Clark, Executive Vice President and Chief Executive Office of the NRA, Wayne LaPierre and Richard Childress, owner of Richard Childress Racing and an NRA board member. Fans that visit www.NRA.org/warrior and sign up for a free subscription to the magazine will receive a complimentary ticket to the NRA American Warrior 300. 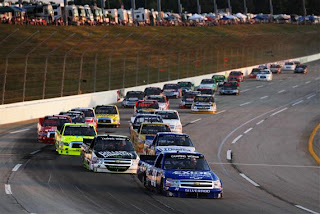 The battle lines are drawn for next month’s vote to determine military sponsorships of NASCAR teams and events will continue in 2013 and beyond. Representatives Betty McCollum (D-Minn.) and Jack Kingston (R-Ga.) have offered an amendment to the Defense Appropriations Bill that would end military involvement in NASCAR and other professional sports. 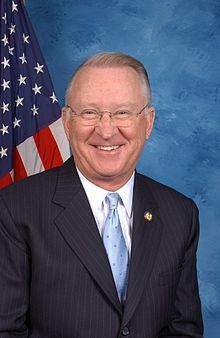 However, House Armed Services Committee Chairman Buck McKeon (R-Calif.) raised a point of order against the measure last week, and the House Rules Committee voting to vote on whether to strike the measure form the bill. Interestingly, the McCollum/Kingston amendment currently includes no provisions for cutting the Defense budget, instead merely specifying where the money cannot be spent. Approximately $80 million in funding would be affected by the amendment; a small percentage of proposed $519 billion Pentagon budget. As a result of the objections raised by McKeon last week, McCollum said she will re-write the amendment enabling it to be presented again on the House floor. She said additional language may be added to cut the $80 million from the Defense Budget. Last year, McCollum’s amendment failed by a 281-148 vote, but with the support of Kingston, a Tea Party Republican, observers say the amendment may now have a 50/50 chance of passage. A vote is expected after the July 4 Congressional recess. It was a “good news, bad news” kind of night for Austin Dillon at Kentucky Speedway Friday. The third-generation driver dominated the NASCAR Nationwide Series Feed The Children 300, leading all but eight of the 200 laps en route to a series record 9.828-second victory over runner-up Kurt Busch. Before Victory Lane ceremonies were even complete, however. problems surfaced with Dillon’s winning Bass Pro Shops Chevrolet. The car failed post-race inspection, with NASCAR officials saying it was too low in the rear. Sources say the car was a full inch below tolerance, an infraction the team will reportedly blame on a broken or stripped rear jack screw. NASCAR is almost certain to dock the team championship points and money, with crew chief Danny Stockman facing a possible multi-race suspension. Those penalties, if any, are expected to be announced Tuesday. Richard Childress Racing has not commented on the situation, but before the infraction was discovered, Dillon said his car was actually less than perfect. "I was actually loose the whole race,” he said. “I just kept getting looser and looser. I was driving as straight as I could, trying not to slip the tires. I back-steered the whole race, but that last adjustment (Stockman) made got me tight enough to fire off really good. We knew Kurt was good, but our car was just stronger tonight." Dillon currently owns a two-point lead over RCR teammate Elliott Sadler in the NASCAR Nationwide Series championship standings. Sadler struggled with an ill-handling car throughout the event, but persevered to finish ninth at the drop of the checkered flag. Kevin Harvick finished third behind Dillon and Busch, followed by Michael Annett and Justin Allgaier. Another round of baseless internet speculation was been laid to rest Friday evening when Dodge released a statement on the status of its plans for the 2013 NASCAR season. In an unattributed blog post last week, the PitPass.net website reported that Andretti Autosport owner Michael Andretti will form a NASCAR team next season to compliment his existing IZOD Indy Car Series operation, fielding Dodges for former series champion Matt Kenseth. Dodge Director of SRT and Motorsports Marketing and Operations Beth Paretta denied that report, saying in a written statement that the manufacturer has not yet signed any NASCAR teams for next season. Paretta said Dodge, “(has) not lost any focus on 2012 and our partnership with Penske Racing. Our commitment to win races and compete for championships with Penske Racing in both the Sprint Cup Series and Nationwide Series this season remains firm. We will not lose focus on that partnership as we make decisions about our future in NASCAR." Penske Racing President Tim Cindric denied a report by the same internet source that Andretti had purchased the team’s engine shop, saying, "Contrary to recent published speculation, Penske Racing has not sold its engine company. The team's focus continues to be on successfully completing the 2012 season, competing for championships and victories in the both the Nationwide and Sprint Cup Series for Dodge and our other sponsor partners." Roush: "I Might Have Been Able To Stop It." Jack Roush said today that he took his eye off the ball, allowing another team to spirit away Matt Kenseth. The Roush Fenway Racing co-owner told reporters at Kentucky Speedway that he was shocked when Kenseth informed him recently that he will leave at the end of the 2012 campaign. “I will say I was surprised when I learned he would not be signing with us," said Roush. "I won't comment on any of the negotiations, because we have an agreement not to talk about that." Roush said he erred by focusing too much on the nuts-and-bolts aspects of his operation, and not enough on contracts, sponsorships and business-related affairs. "If I had been as vigilant and diligent and interested in that side of the business as I am on finding why a fuel pump broke, or why a connecting rod bearing failed, or how we could get the next pound of downforce... if I had been taking care of the business side of the business as hard as I tried to take care of the technical side I might have been able to stop it." Roush, a longtime opponent of Toyota, gave a hint to Kenseth’s future plans, saying, "From my standpoint, he will be moving to the dark side." The veteran team owner said he is confident that Kenseth’s No. 17 Best Buy Ford team will be able to continue its quest for the 2012 Sprint Cup Series championship, adding he remains a fan and friend of his longtime driver. How Hot Is It At Kentucky Speedway Today? …Ice is selling for $39.95 per bag. …NASCAR President Mike Helton is in the Sprint Cup garage wearing shorts, a Hawaiian shirt and flip flops. …Kurt Busch decided it’s too hot to yell at his pit crew. …Elliott Sadler offered Jacques Villeneuve a glass of lemonade. …Cale Yarborough just quit and went home. …The mountains on those Coors Light “Cool Cans” have completely disappeared. …Matt Kenseth became disoriented and climbed into the No. 20 Toyota. …Jimmy Spencer’s hair spontaneously combusted. …Danica Patrick is EVEN HOTTER. …Satan is wearing a Speedo. …Kyle Busch’s M&Ms just melted in his hand. …Joe Gibbs described it as, “Gosh-darned sticky,” then apologized for his language. …Infield campers are sitting close to their campfires to cool off. …Brad Keselowski put a 12-pack of ice cold Miller Lite down his pants. …Richard Petty traded his cowboy hat for a cowboy visor. …”Baby Otis” Harvick delivered himself and went out for ice cream. 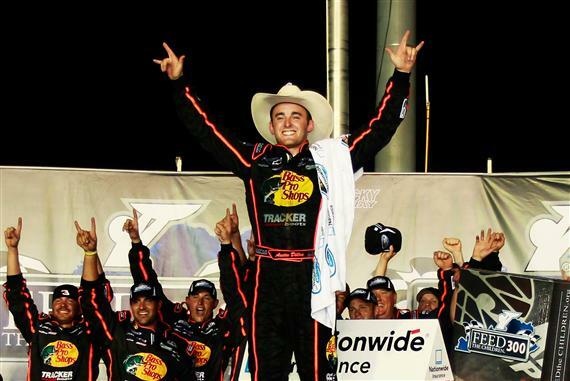 James Buescher sizzled on a smoking hot evening in the Blue Grass State, dominating the UNOH 225 for his second NASCAR Camping World Truck Series of the season. Buescher’s Exide Batteries Chevrolet led 119 of the 150 total laps and cruised to a 3.8-second victory over Brad Keselowski. "I'm just really proud of everyone on the Turner Motorsports Team,” said Buescher in Victory Lane. “My wife found a picture of the trophy on Twitter this morning, and told me she wanted it. You’ve got to make the wife happy, so we got to Victory Lane." Buescher took the lead for the final time on Lap 108 and easily prevailed on a Lap 115 restart, pulling away from a fierce battle for the runner-up spot between Keselowski, Ty Dillon and Matt Crafton. Keselowski won a three-wide race off the final corner to finish second, followed by Dillon, Crafton and Timothy Peters, who regained the series point lead with a fifth-place finish. Buescher became the first multi-race winner of the season, after carrying the checkered flag on April 21 at Kansas Speedway. Peters assumed the series point lead with his fifth Top-5 and seventh Top-10 finish of the season. He now enjoys a slim, four-point advantage over Dillon and Justin Lofton, who came to Kentucky atop the standings, but was involved in a multi-truck crash on Lap 70 and limped home 14th. Daytona International Speedway President Joie Chitwood III commented today on a potential major redevelopment project at the speedway. “International Speedway Corporation, parent company of Daytona International Speedway, has filed a Planned Master Development application with the City of Daytona Beach – the first step in the pursuit of potential redevelopment projects at the ‘World Center of Racing,’” said Chitwood. “This application process is necessary in order to establish the framework that would allow us to explore how to best shape the future of Daytona International Speedway. Chitwood said many aspects of the project are yet to be determined, adding that the redesign could include a complete overhaul of the entire frontstretch grandstand, including new seats, suites and guest amenities, new entry points, improved fan conveyance, modernized exterior and interior areas and a redesigned midway for fans. Multi-platinum Grammy-winning superstars Train, whose hits include “Hey Soul Sister” and the smash hit “Drive By” from their new album California 37, will be performing an hour-long pre-race concert prior to the 54th annual Coke Zero 400 Powered By Coca-Cola NASCAR Sprint Cup Series race on Saturday, July 7 at Daytona International Speedway. Through a special VIP Ticket Package, fans can get unprecedented access to the 60-minute pre-race concert that will be staged on pit road in the tri-oval area of the “World Center of Racing.” With packages starting at $115, the VIP Ticket Package includes a reserved grandstand ticket for the Coke Zero 400 Powered By Coca-Cola, pre-race/Sprint FANZONE access and admission to the VIP viewing area in front of the stage for the pre-race concert by Train. 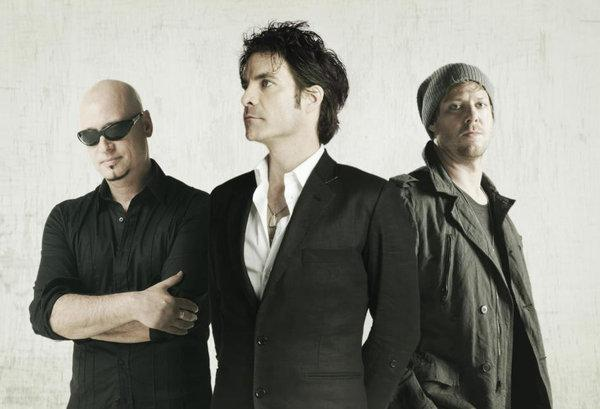 Train, which consists of Pat Monahan, Scott Underwood and Jimmy Stafford, has earned three Grammys, two Billboard Music Awards for Top Rock Artist and Top Rock Song and an ASCAP Pop Music Award for Song of the Year. Their latest album California 37 was released this spring and includes the hit singles “Drive By” and “50 Ways to Say Goodbye,” which has already been climbing both the radio and sales charts. Sam’s Club and its Member’s Mark Angus Beef and Castlewood Reserve brands will serve as primary sponsor for reigning 2011 NASCAR Nationwide champion Ricky Stenhouse Jr. and his No. 6 Ford in three races this season. The Sam’s Club logo will be featured prominently on the No. 6 Ford Mustang, accented with Member’s Mark Angus Beef and Castlewood Reserve logos starting this weekend at Kentucky Speedway in the Feed the Children 300. The remaining two races of the sponsorship are slated for Indianapolis (July 28) and Kansas (October 20). “I am thrilled to have Sam’s Club back on our Mustang this year,” said Stenhouse. “Cargill has been a huge supporter of our No. 6 team the past two years. We hope to bring recognition to Sam’s exclusive brands of Member’s Mark Angus Beef and Castlewood Reserve by putting them in Victory Lane." Stenhouse has three wins, seven top-five and 10 top-ten finishes in 14 starts this season. After more than three years of legal wrangling and setbacks, Jeremy Mayfield’s lawsuit against NASCAR is over. Mayfield sued the sanctioning body after a May 1, 2009 drug test revealed methamphetamine in his system. He was suspended indefinitely from the sport, but blamed his positive test result on a combination of the prescription drug Adderall he used to treat Attention Deficit Hyperactive Disorder and the over-the-counter allergy medication Claritin-D. He also said NASCAR and its drug testing agent, AEGIS Sciences Corporation, failed to follow accepted industry protocol. Lower courts sided with NASCAR on three different occasions, with Mayfield appealing each decision. A trial was scheduled to begin in September of 2010, but U.S. District Court Judge Graham Mullen ruled that Mayfield had signed documents outlining NASCAR’s substance abuse policy while applying for a 2009 competitor’s license; documents that acknowledged the sanctioning body’s right to test him for substance abuse at any time. 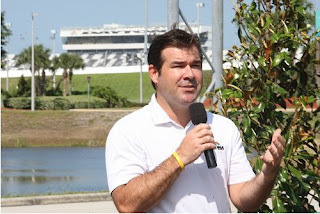 Mullen specifically noted a clause in the document signed by Mayfield that stated, “I recognize that the NASCAR Substance Abuse Policy promotes the integrity of NASCAR-sanctioned racing and the safety of NASCAR Competitors, Officials, and spectators. Accordingly, I HEREBY RELEASE, DISCHARGE, COVENANT NOT TO SUE, AND AGREE TO HOLD HARMLESS NASCAR, its officers, employees, directors, agents, and such testing facilities and Medical Review Officers as NASCAR retains or selects in connection with implementation of the Policy…” Mullen also ruled that Mayfield was aware that a positive drug test would result in an indefinite suspension of his NASCAR license. Mayfield appealed that decision, as well, but the verdict was upheld in March of this year. Mayfield indicated then that he did not plan to pursue the case to the United States Supreme Court, and yesterday’s final deadline passed without further filings. Mayfield continues to face multiple felony counts of possession of methamphetamine, larceny, breaking and entering, possession of stolen goods, obtaining property under false pretenses, felonious breaking and entering of tractor-trailers and larceny from a building. If convicted, he faces a maximum of 14 years in jail. He and his wife, Shana, were recently ordered to pay $1 million to a postal worker attacked by dogs at his North Carolina home in April of 2011. Discount Tire, sponsors of the No. 22 Penske Racing Dodge driven last weekend by Jacques Villeneuve on the NASCAR Nationwide Series, issued a statement today expressing displeasure with comments made by their driver following Saturday’s race in Elkhart Lake, Wisconsin. A statement from the company said, "Together, Penske and Discount Tire have achieved great success in the Nationwide Series, including a championship, and have maintained the highest levels of integrity and sportsmanship throughout that relationship. Although we believe the contact between Villeneuve and Patrick to be unfortunate, it is a part of professional racing. However, Villeneuve’s post-race comments did not reflect our ideals regarding sportsmanship. Having said that, we continue to be very proud of our relationship with the Penske organization." 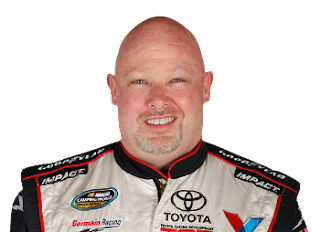 Red Horse Racing announced today that two-time NASCAR Camping World Truck Series Champion Todd Bodine and his No. 11 Tundra team will be supported by Toyota Care in this weekend’s the UNOH 225 at Kentucky Speedway. "Toyota is pleased to continue its support of Todd's participation in the 2012 Truck Series season." said, Les Unger, Toyota National Motorsports Manager. "As a two-time Tundra past champion, Toyota values Todd's contribution to its NASCAR program and will assist in working with Todd to help secure additional sponsorship for the remainder of the 2012 season. Todd is a very important part of the Toyota racing family. We at Toyota Motorsports want to be a part of his effort in winning his third driver championship and Toyota's sixth manufacturer's championship." Toyota Care previously served as primary sponsor on the No. 11 Red Horse Racing Tundra at Rockingham Speedway, Kansas Speedway and Charlotte Motor Speedway. Managing Partner at Red Horse Racing, Tom DeLoach adds, "We are certainly glad to have Toyota Care back on board. Toyota has been a loyal supporter to our race team and it's great to see them stand behind our race team while we continue to search for sponsorship." In seven races, Bodine has captured one win, three top five and four top-10 finishes thus far. It's Vinyl Day At The Godfather Motorsports Shop! Warren Hamilton from ASM Graphics has cranked out another killer vinyl treatment for the No. 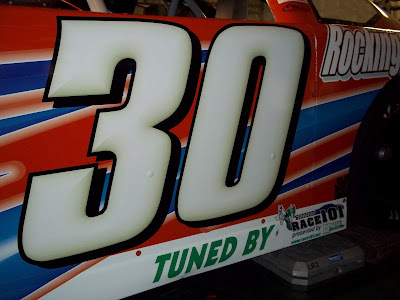 30 Godfather Motorsports Chevrolet Super Late Model. The No. 30 is in tribute to Jim's dad, the late "Gentleman Jim" Gallison, who drove orange #30 race cars back home in Vermont for decades. 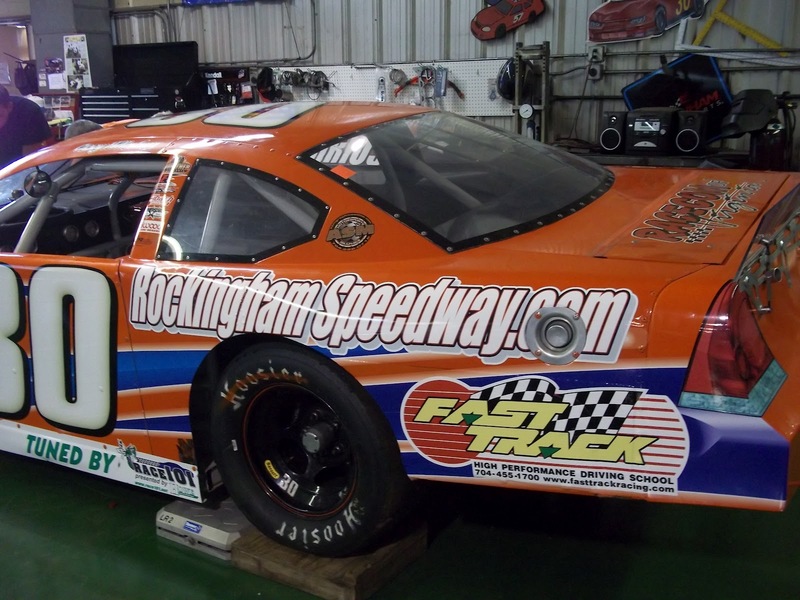 Many thanks to Andy Hillenburg and the staff at Rockingham Speedway for their support this season! 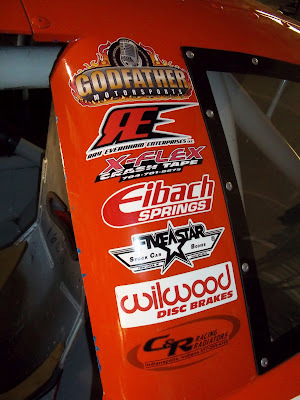 ...and all our valued associate sponsors. Fireworks By Santore is adding a new twist to the largest fireworks show in the Southeast, which takes place immediately following the conclusion of the 54th annual Coke Zero 400 Powered By Coca-Cola NASCAR Sprint Cup Series race on Saturday night, July 7. During the 15-minute show that will illuminate the sky above Daytona International Speedway, Fireworks By Santore will use specially developed shells to produce the letters “U S A” high above the speedway. The show will be shot from 16 different locations spread across the infield along the Superstretch. To put together the largest fireworks show in the Southeast, Fireworks by Santore uses shells ranging in size from 1” to 8”, more than 10,000 pounds of explosive powder and 11,000 individual explosions. The types of shells range from the more traditional such as Chrysanthemum, Peonies, Dahlias, Willows and Salutes to specialty shells such as, Smiley Faces, Star Patterns, Double Rings, 4 Color Changing, Shell of Shells, Crossettes, Strobing Diadems, Twilight Glitters and vibrant new pastel colors. The finale will last for approximately 90 seconds and will have over 2,000 individual pieces. The show uses enough control wire to wrap a lap around the legendary 2.5-mile tri-oval. The recently announced split between Matt Kenseth and Roush Fenway Racing has all the makings of a win-win situation for all parties. For Roush Fenway Racing, Kenseth’s departure provides an opportunity to promote the latest in a long line of home-grown talents. In 1988, team owner Jack Roush plucked Mark Martin out of ASA obscurity, after the Arkansas native had failed in an earlier attempt at what is now the NASCAR Sprint Cup Series. He brought West Coast short track star Greg Biffle to NASCAR in 1998 and gave Kenseth his shot at the big time in 2000. Carl Edwards, Kurt Busch and David Ragan also got their first national exposure in RFR equipment. Now, it’s time for Ricky Stenhouse, Jr. and Trevor Bayne to take their shots. Stenhouse, the 2011 NASCAR Nationwide Series champion, will run for Sprint Cup Rookie of the Year honors next season in the Roush Fenway Racing Ford vacated by Kenseth. Bayne, the 2011 Daytona 500 champion, will replace Stenhouse in Roush’s potent Nationwide Series Mustang, making him an instant favorite for the 2013 title. For Roush, the driver change provides a significant cost savings, since Stenhouse will command a more modest salary than Kenseth. By decreasing the cost of doing business, Roush lessens the demand on his marketing department, which has struggled to find sponsorship for Kenseth in each of the last two seasons. Simply put, the team will need smaller sponsors – and fewer of them – with Stenhouse at the wheel. The move also allows RFR to secure its future by locking both Stenhouse and Bayne into quality, long-term rides. At age 42, Biffle still has some good years ahead. Edwards, age 32, is in his competitive prime. 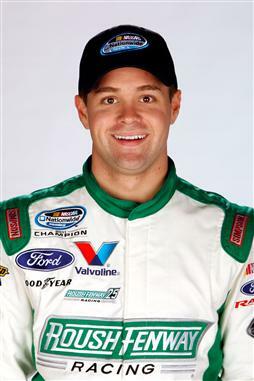 Adding 24-year old Stenhouse to the mix ensures that Roush Fenway Racing will remain competitive for years to come. Clearly, Kenseth did not jump ship at RFR without a comfortable place to land. The Wisconsin native’s is believed to be headed to Joe Gibbs Racing next season to drive the No. 20 Home Depot Toyota. The ride is a proven winner, claiming the 2002 and 2005 Sprint Cup Series championships with Tony Stewart at the wheel, and will allow him to contend immediately for race wins and championships. The team is backed by a loyal, long term sponsor in The Home Depot, providing Kenseth with his first fully-backed team in recent memory. The move allows JGR to solidify its relationship with The Home Depot by placing a proven winner and former series champion in their car for the first time since Stewart left town following the 2008 season. With all due respect to Joey Logano, wins have been few and far between for “Big Orange” in recent years, and the addition of Kenseth to their program will allow the home improvement giant to compete head-to-head once again with rival Lowe’s. Roush Fenway Racing wins. Joe Gibbs Racing wins. 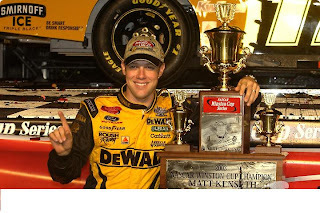 Matt Kenseth, Ricky Stenhouse and Trevor Bayne all win. The Home Depot wins, as well. With the possible exception of Logano, this deal make sense for everyone involved. 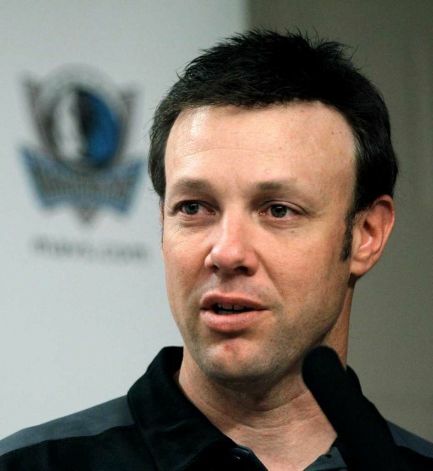 Roush Fenway Racing announced yesterday that Matt Kenseth will leave the team at season’s end, and multiple sources now say the decision to part company was Kenseth’s. Rumors circulated recently that the former NASCAR Sprint Cup Series champion was being courted by both Joe Gibbs Racing and Penske Racing, after RFR struggled to secure sponsorship for his No. 17 Ford in each of the last two seasons. 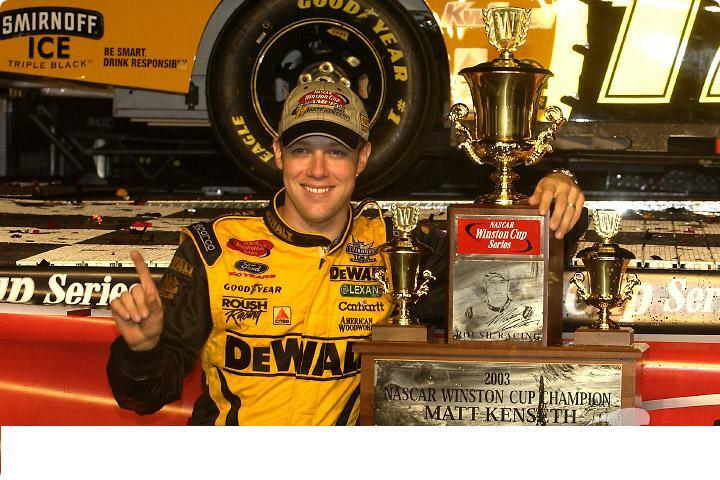 Sources say Kenseth met with Jack Roush early this week and informed him that he will move to JGR in 2013, driving the No. 20 Home Depot Toyota currently piloted by Joey Logano. Kenseth has not confirmed those plans, but issued a written statement via Twitter yesterday, saying, “I'm very thankful to Jack Roush for the opportunities he's given me over the past 14 years. Together we have enjoyed a lot of success.... And as a team we are committed as ever to the remainder of the 2012 season and chasing a 3rd sprint cup title for Jack and RFR. Although I have nothing to announce regarding 2013, I feel the timing of this announcement gives RFR ample time to get things lined up... Darien (Grubb) and Tony (Stewart) proved to us last year there is no such thing as a `lame duck’ team or season. We will continue to go to work and race hard." Ford Racing Director Jamie Allison said of the decision, "All of us at Ford are certainly disappointed to hear that Matt will be leaving, and he will be certainly missed by us and the Ford Racing fans. We are thankful for Matt's winning efforts and championship-caliber success with the Roush and Ford racing programs these past 16 years, both on and off the track. 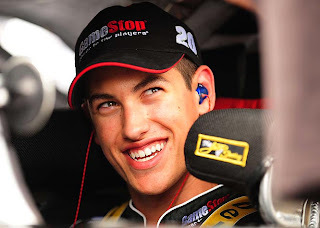 We will focus on this year and look forward to more success on the track in his #17 Ford Fusion this season." Joe Gibbs Racing is reportedly seeking sponsorship to field a new, fourth Sprint Cup Series Toyota next season for Logano. If sufficient backing is not found, Logano could return to JGR’s NASCAR Nationwide Series lineup next season. C.E. Falk III’s racing career has included dozens of main event wins throughout Virginia and the Carolinas. 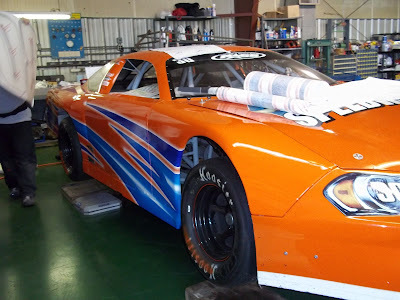 The multi-time Late Model track champion’s journey takes him to Kentucky Speedway this weekend, for his 2012 NASCAR Camping World Truck Series debut with Hillman Racing in the UNOH 225. The 24-year-old Virginia Beach, Va., native is no stranger to the national racing scene. 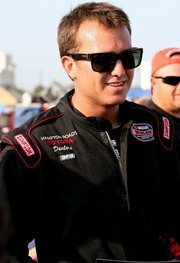 He is currently second in the NASCAR Whelen All-American Series national standings, with nine victories. Falk has won multiple times on the three Virginia short tracks he’s competed on this season; his home track of Langley Speedway, South Boston Speedway and Motor Mile Speedway. 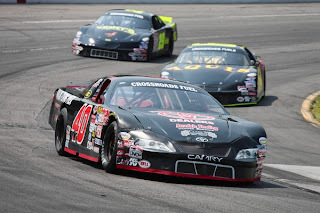 Since the 2007 season, when he joined the Late Model ranks on a full-time basis, Falk has won 45 times, recording 109 top-five and 128 top-10 finishes in 152 starts. 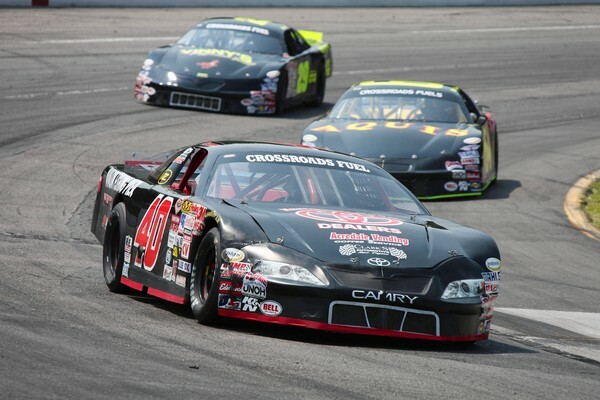 Falk gained his first taste of national recognition with his victory in the 2010 Denny Hamlin Short Track Showdown at Southside Speedway near Richmond, Va. 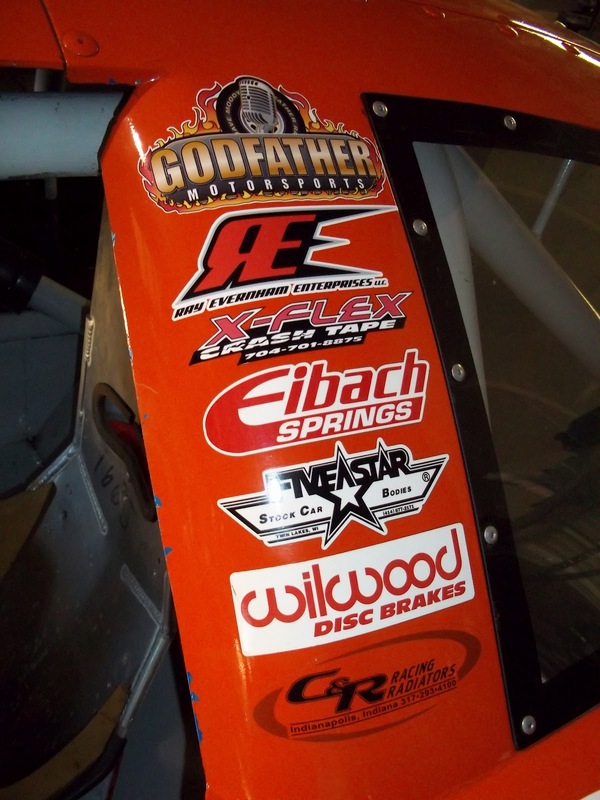 He outraced several top Sprint Cup Series drivers, including Hamlin, three-time Sprint Cup Series champion Tony Stewart and others to win the charity Late Model race. Falk will drfive the No. 27 Chevrolet for Hillman Racing. The organization, in its first season of Campiung World Truck Series competition, is 19th in the Truck Series owner standings after fellow Virginians Ward and Jeb Burton piloted the Silverado earlier in the season. Ward Burton, the 2002 Daytona 500 champion, finished eighth in the season opener at Daytona, and Jeb followed with finishes of 19th or better in four of the next five races. The younger Burton finished eighth at the 1.5-mile Charlotte Motor Speedway, which gives the team something to build on for Falk’s debut at Kentucky. Legendary college football coach Bobby Bowden will serve as the Grand Marshal for the 54th annual Coke Zero 400 Powered By Coca-Cola NASCAR Sprint Cup Series race on Saturday, July 7 at Daytona International Speedway. The Hall of Fame football coach will give the “Gentlemen start your engines” command in the 160-lap, 400-mile race. He’ll also be introduced at the driver’s meeting, participate in the driver introductions and ride in one of the Grand Marshal cars during the pace laps prior to the green flag. Coke Zero invited the coaching icon to take part in the festivities to help launch its upcoming fall football program, which rewards fans online and in person with college football prizes and one-of-a-kind VIP experiences. During his 34-year tenure as the head coach at Florida State University, Bowden coached the Seminoles to more than 300 victories, two National Championships and 12 Atlantic Coast Conference championships. 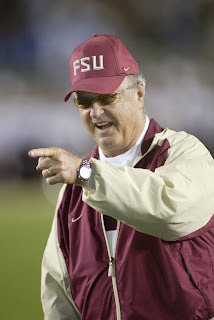 Under Bowden’s leadership, the Seminoles also finished in the top five in the country in 14 straight seasons and qualified for Bowl Games in 28 consecutive seasons. Bowden, the second winningest coach in major college football history, was inducted into the College Football Hall of Fame in 2006. Matt Kenseth will not race for Roush Fenway Racing next season, after an announcement today that the former Sprint Cup champion will be replaced by Ricky Stenhouse, Jr. in the team’s No. 17 Ford in 2013. Why is RFR severing ties with the former champion and current Sprint Cup Series point leader? It’s a complicated explanation that reaches far beyond the walls at Roush Fenway Racing. While Kenseth has provided RFR with a spectacular past and an exciting present, the future of the team clearly lies elsewhere. Simply put, Roush Fenway Racing’s driver development pipeline is clogged with talent that will not wait. 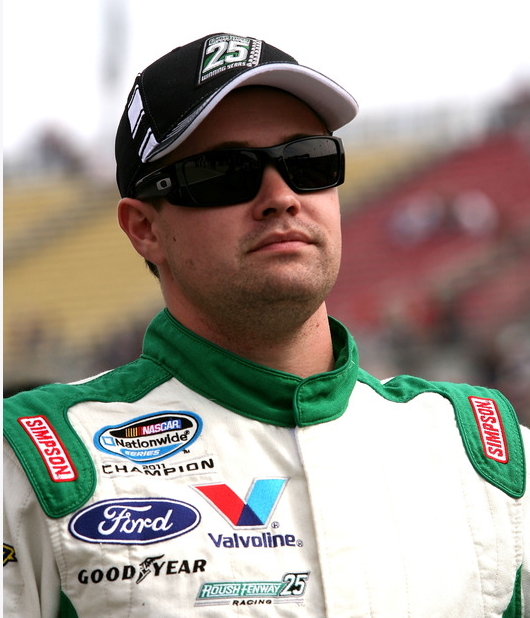 Ricky Stenhouse, Jr. already has a NASCAR Nationwide Series championship on his resume, and is solidly in the running for a second. Trevor Bayne – who has a long-term contract with RFR but no full-time ride -- is a former Daytona 500 champion. Developmental driver Chris Buescher is winning ARCA races by the truckload. If RFR does not offer Stenhouse a top-notch Sprint Cup ride next season, someone else certainly will. Ford Motor Company officials still have nightmares about allowing Jeff Gordon and Kasey Kahne to slip through their fingers years ago, due to the lack of quality Sprint Cup opportunities. They will not make the same mistake with Stenhouse. Stenhouse is 24 years old. Kenseth is 40. You do the math. RFR also cannot afford Kenseth any longer. 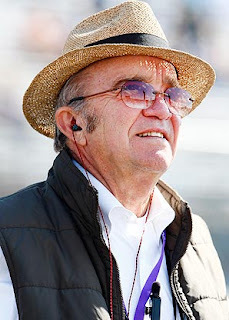 Jack Roush has funded much of Kenseth’s 2011 and 2012 schedules out of his own pocket, and released David Ragan during the offseason when major sponsorship could not be found to keep his team on track. There is no backing on the horizon for Kenseth, either, meaning that a change once again needs to be made. Roush Fenway ponied up big money recently to re-sign Carl Edwards to a multi-year contract, and signed teammate Greg Biffle to a similarly lucrative contract extension last season. There is only so much money in the contractual coffers, and Stenhouse will drive cheaper than Kenseth. 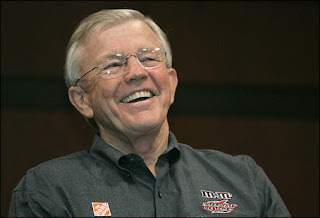 Joe Gibbs Racing, meanwhile, is desperate to retain The Home Depot as sponsor of its No. 20 Toyota. The home improvement giant enjoyed tremendous success in its early years with JGR, winning races and championships with driver Tony Stewart. They also outran the competition – Lowe’s – on a regular basis. Unfortunately, it’s been a long time since The Home Depot has had anything significant to celebrate. They have been to Victory Lane only twice since Stewart flew the coop at the end of the 2008 season, and have been forced to watch from outside the Chase while Jimmie Johnson won five consecutive championships for the competition. Make no mistake about it, major changes must be made in order for JGR to retain The Home Depot. Bringing in a charismatic, well-known former series champion like Kenseth to drive the No. 20 Toyota will go a long way toward retaining “Big Orange,” especially since Kenseth leads the 2012 Sprint Cup standings. JGR can offer Kenseth a contract befitting a driver of his stature, and they will. Kenseth’s hiring does not necessarily mean the end of Logano’s tenure with JGR, however. The Connecticut native is enjoying the best season of his Sprint Cup Series career, with a Sprint Cup win at Pocono Raceway and multiple Nationwide Series victories. That may not be enough to keep his seat in the No. 20 Home Depot Toyota, but sources say the team is working diligently to secure sponsorship for a long-discussed fourth Sprint Cup entry in 2013, driven by Logano. Kenseths Top Entry List For "Howie Lettow 150"
Finch: Busch "Needs To Get His Mind Right"
Is Edwards' Season Of Promise Slipping Away? 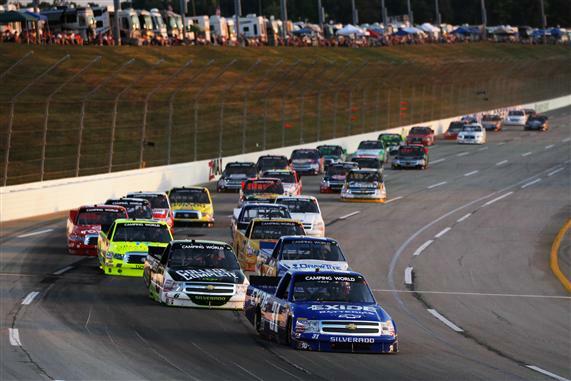 Can NASCAR Shorten Its Sprint Cup Schedule?